The Club is excited to launch it's SUPER RAFFLE for this season. - Two Scott Mountain bikes - to keep! 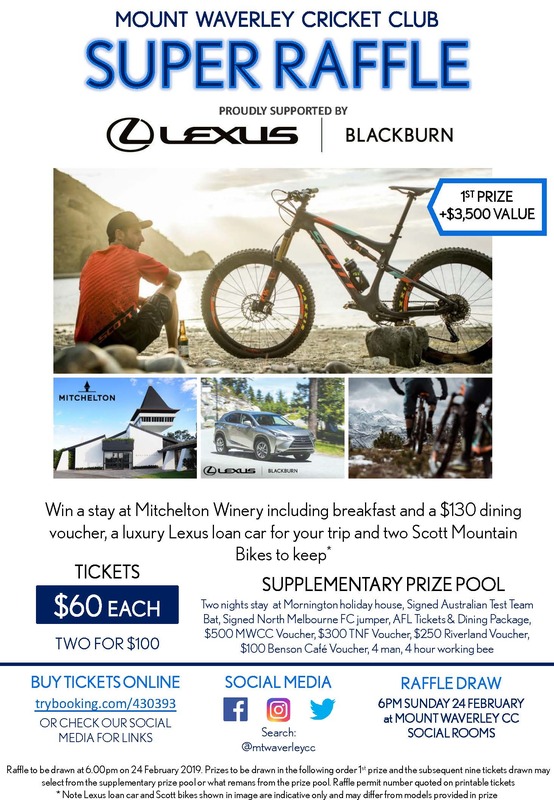 This prize has been organised for us by our new platinum partner - Lexus of Blackburn - and we are incredibly grateful for their support. We have a host of supplementary prizes as well - outlined on the flyer below. Raffle sales will be running through out the season, so we encourage you to help us out by spreading the word and helping us sell as many tickets as possible. As you know fundraising is incredibly important for community sports Clubs and with such a fantastic set of prizes we hope you can help us sell as many tickets as possible.